Therapy Dogs help so many people. They help children improve their reading skills, ease the pain and anxiety of those who are hurting, and bring comfort and smiles to those who need it. 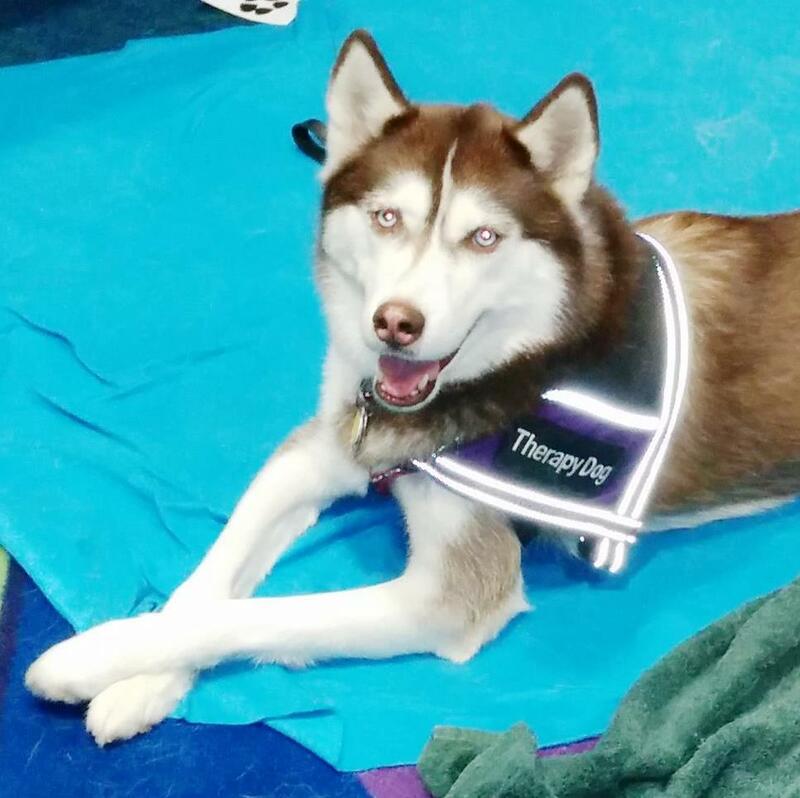 Working with my Therapy Dog, a Siberian Husky named Icy, to help people in our community is one of the most rewarding things I've ever done! In the following blog posts, I showcase some of the work we have done together as a Pet Partners Therapy Dog team. I hope you enjoy reading about how Therapy Dogs serve communities and help people in need! 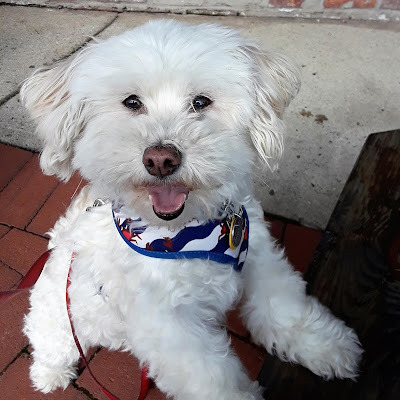 Read how Icy and I got started as a Therapy Dog team in my blog post My Dog the Therapist:;A Therapy Dog's Tale. One of my favorite assignments are always the children's reading programs! We both enjoy it so much and the kids just love it! 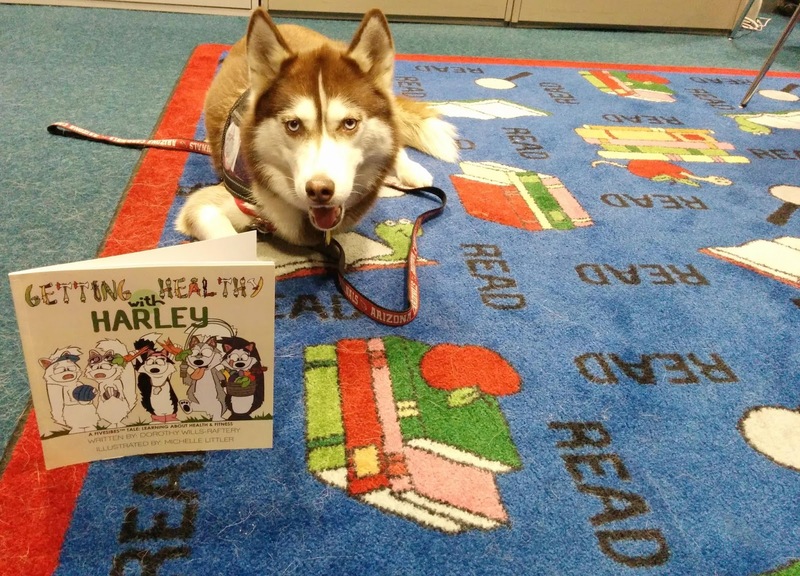 Read about how Therapy Dogs can help kids improve their reading skills. The College Stress Busters are another fun assignment for us. 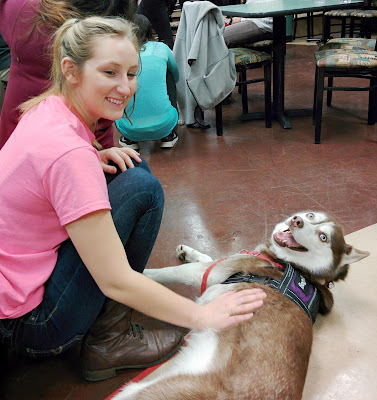 Icy visits with college students during mid-terms and finals to give them a break from the stress of exams. These visits are so much fun! 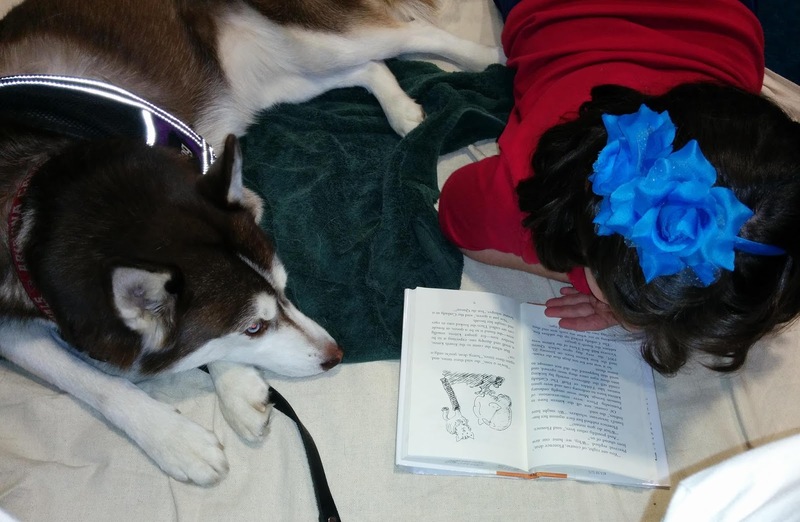 In the reading program, kids usually choose the book they want to read to the dogs. I always have a couple of children's books on hand just in case the one they've chosen doesn't work out. 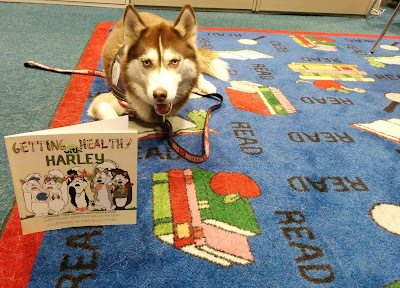 One such book is the delightful Getting Healthy With Harley, written by Dorothy Wills-Raftery. You can read more about that in my blog post My Dog The Therapist: Teaching Kids About Fitness. Teaching kids how to properly care for animals and to treat them with respect and kindness, not just for the animals but for the children themselves. I love when we have the opportunity to talk to kids about how to care for and treat pets and what a Therapy Dog does. In this post, we spoke to a wonderful group of Girl Scouts about pet care and Therapy Dogs. We had the opportunity to visit a Girl Scout Brownie troop as well to talk about therapy dogs and pet care. It's so much fun! 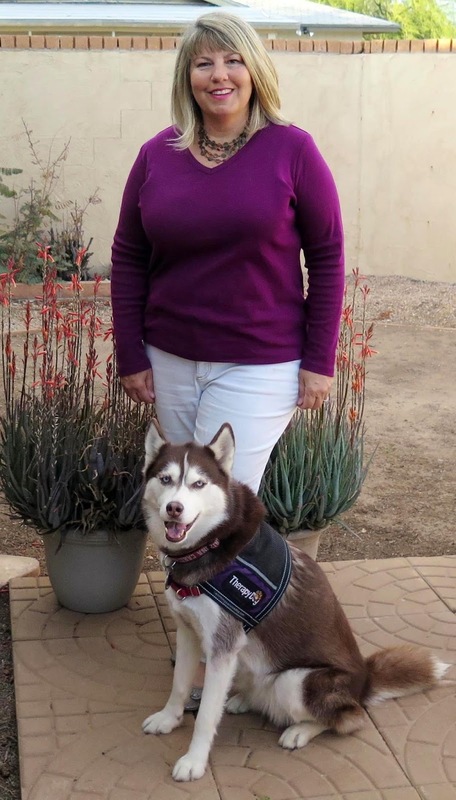 Most of my Therapy Dog posts are about the work I do with my Husky, Icy. But in this post I shared the amazing work my good friend and fellow Therapy Dog handler Paulette does with her beautiful Keeshond, Teebo. Paulette and Teebo visit people struggling with substance abuse offering love, support, and comfort as they fight to conquer addiction. The work this Therapy Dog does in a Drug and Alcohol rehab facility is quite unique and heartwarming. 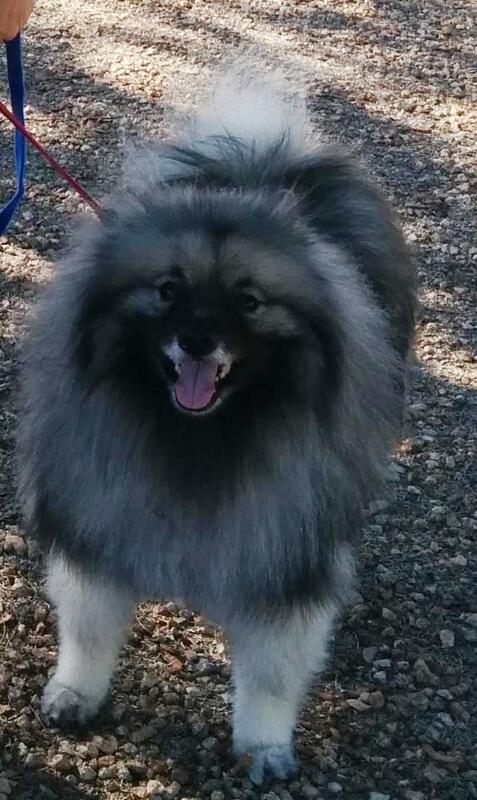 Karma and I have been a therapy team for about 7 years now, and we love it! She is slowing down a bit, and sometimes it's hard to make sure we get where we need to with such a busy life...but that's okay, she looks like she smiles when she sees the kiddos! Our newest family member has the right temperament so we think we might get her trained. We've been thinking for bed ridden folks given she is only 2.7 pounds and will likely not go past 3... she'd be perfect for that.